Create your own batik with Zanzibar or Tanzanian motives as part of our guided Museum&Workshop tour. During Ramadhan the Crafts&Culture Tour can be arranged for the afternoon including food after sunset. The guests get to know the traditional Zanzibari way of Iftar. Karibu, be our guest, and experience local craft culture at the MOTO Workshop&Museum. The Museum offers a unique collection of palm plaited items from the entire Swahili coast, attractively presented in a village setting. 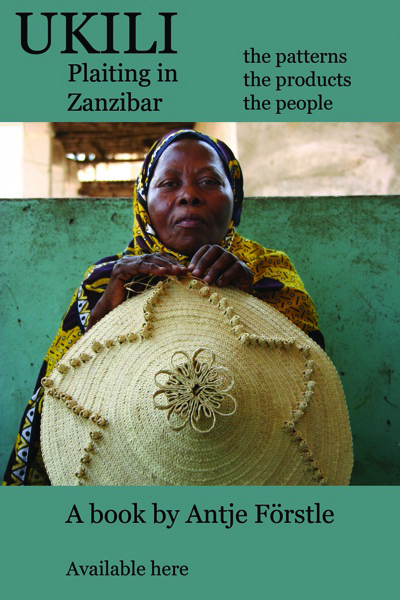 Their individual importance and use is explained to you by knowledgable guides, along the daily routine of a typical Zanzibari household. The fascinating production process of ukili – from the date palm´s frond to the colourful basket – is described in text and object and can afterwards be experienced by you hand in hand with local craftswomen in a 30min workshop. Members of craft cooperatives take turns in showing you how hand-selected leaves of the wild date palm go through a timely transition and evolve into fashionable accessories or classic, contemporary pieces for the home. Supervised and supported by an artisan you may design and batik a t-shirt or table cloth with Zanzibar or Tanzanian motives. Plain t-shirts and fabrics purchasable. In our workshop experience the making of the famous Swahili loin cloth, the kikoi – handwoven on wooden looms. In our workshop master weavers work on wooden looms, making the famous Swahili lion cloth, the kikoi. Worn all along the East African coast, this traditional piece of clothing is as popular as ever. Additionally, the kikoi has been discovered as material for comfortable men’s and ladies’ wear and adore the world traveller’s home in form of beautiful drapes, curtains, table wear or bedsheets. Spend 3 hrs at our Museum&Workshop and experience the hospitality of local craftspeople in the village of Pete. A delicious traditional Swahili lunch is included. Situated only 3km from Jozani Nationalpark, our tour is a perfect supplement to your visit to the famous Zanzibar Colobus Monkeys. MOTO Museum&Workshop in Pete, Zanzibar. Min. 2 pax. Families, groups, school classes are welcome. Please book in advance with your tour operator, or directly with us.